Hiking La Soufriere Cross Country Trail - Caribbean & Co.
As if the island of St. Vincent seated in the crystal blue Caribbean water isn’t magnificent enough, the trails and views leading up to the La Soufriere Volcano summit at 4,048ft/1,178m are beyond spectacular and a hiker’s dream. Gorgeous panoramic views of the island and the ocean can be seen, along with massive granite walls, gorges and volcanic ash and rock at the rim. There are two ways to explore the volcano – from the leeward side or from the windward coast. Most people prefer the windward coast trail, starting in Rabacca near Georgetown. This path leads through fragrant banana plantations, to a marked trailhead. From here hikers will enjoy an uphill climb for two hours to reach the edge of the crater. Visitors can walk down into the crater and explore the active dome. The trail is difficult to hike but a rope that stretches to the floor of the crater will help hikers navigate the path. The windward trail will continue from the crater through beautiful forest, eventually ending up on the leeward side of the island in Richmond village. Hikers who want a more strenuous adventure will want to start from the leeward side. A six-hour walk along a sometimes overgrown path will take adventurers from coast to coast. Choosing to explore the crater will add another two hours to the trip. When deciding on the route and other particulars for the hike, keep in mind that all visitors to the island must have either a Vincentian or a guide with them when hiking the active volcano. 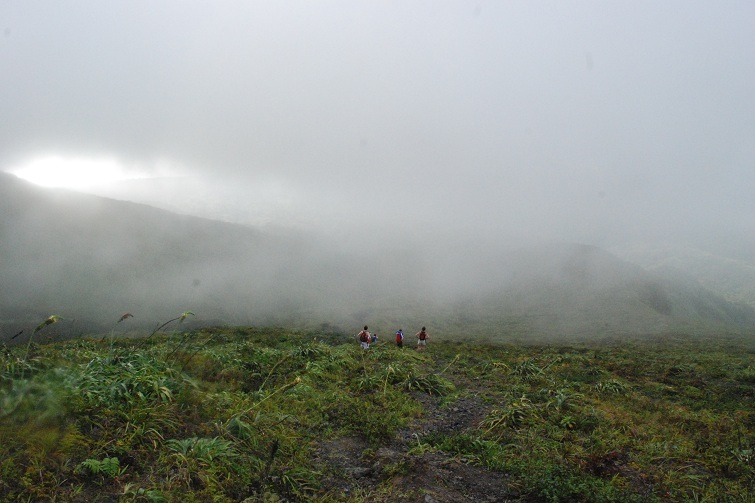 Also, the rim of the crater can be slippery and vision can be obscured by the clouds that frequently cover the summit. It also gets cold at the top so would recommend bringing along an extra layer of clothing. Plus there are no facilities on either trail so having an adequate supply of food and water is necessary. It is also important to note that the trails do not start in villages and transportation arrangements are up to the hiker. That all being said, rich soil and lots of rainfall make the trails an amazing place of montane forest, coastal scrub and elfin forest. Spanish Ash and Giant Tree Ferns grow along the paths. 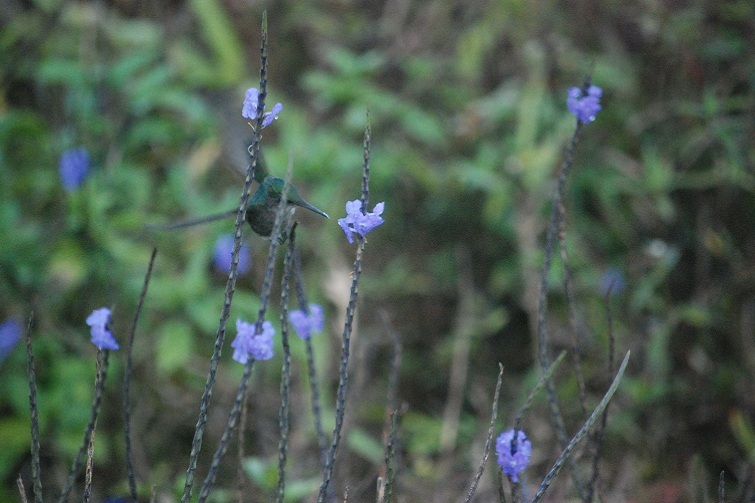 There are also many species of birds and the island has been named an Important Bird Area in the Caribbean. Rare St. Vincent Parrots, warblers and Rufous-throated Solitaires can be seen by careful eyes. Hikers can also see Red-Legged Tree frogs, lizards, opossums and Agoutis. La Soufriere Volcano actually has three craters, two of which are dormant now. There are also hot springs and dry river beds to explore. The hike can be customized to certain lengths and fitness levels. At the start of the windward side visitors can use facilities, payphones, gazebos and parking. There is a visitor’s center open from 7:30 am to 3:30pm. Remember, after this area there are no more facilities. Thus is is strongly suggested that people start early in the morning and hike before the clouds cover the summit. Photos: ©Ian Usher via Flickr.